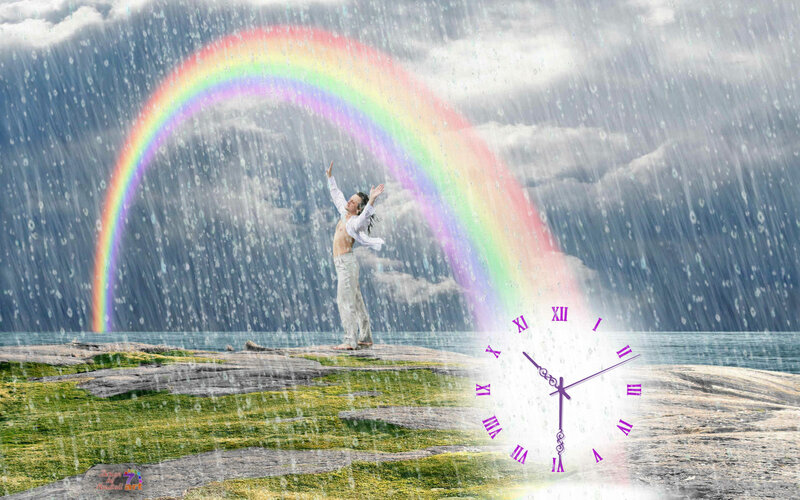 Summer Rain Clock screensaver - Summer Rain Clock keeps count while you relax! Feel the summer rain freshness on your face! Let the rainbow colours in! Touch the nature freedom with your hands! And then you are not afraid of quickly running time! 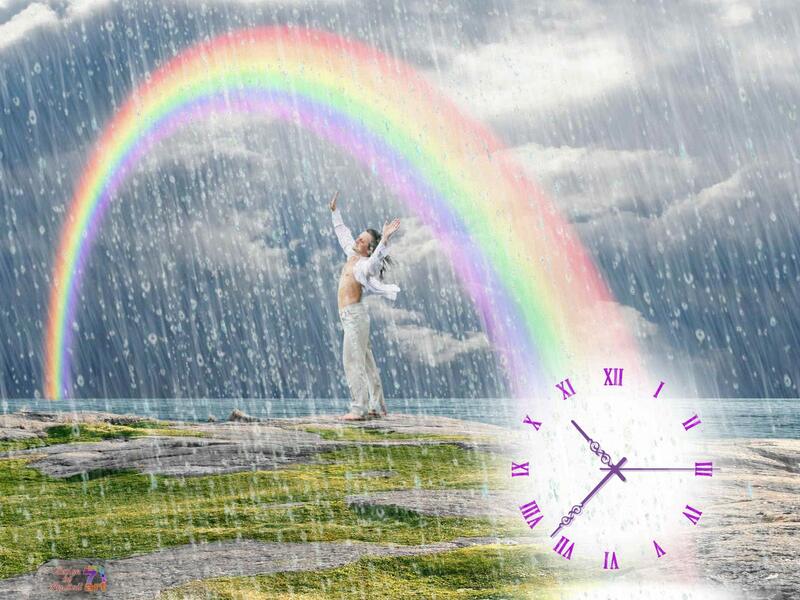 You just relax and let your life go, and it's the austere clock that keeps count. Feel the fullness of the nature, and stop worrying about quickly running time!